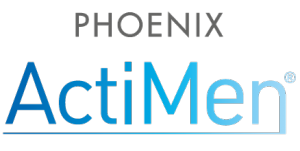 Phoenix ActiMen is a unique fertility supplement which supports reproductive wellness and improves sperm quality parameters, such as concentration, motility, morphology and the capacity to fertilize the egg. A unique blend of ingredients proven to improve sperm quality and increase the chance of pregnancy. Growing evidence suggests that oxidative stress can reduce sperm function. On the contrary, L-carnitine, vitamin C, coenzyme Q10 and vitamin B12 have been shown to improve sperm quality, thanks to their antioxidant capacity. L-carnitine improves sperm mobility and enhances energy metabolism. Absorption reaches saturation at 2g. However, we also know that some L-carnitine can be absorbed from food. If the level of L-carnitine in the body goes above 2g, its excretion increases. To allow for dietary consumption, we adopt a dosage of contains 1.25g of L-carnitine, consequently avoiding pushing the body over the 2g threshold . It also contains selenium, associated with improved sperm motility. 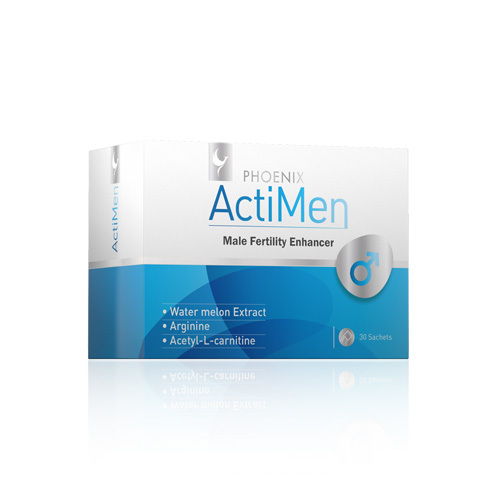 It also contains folic acid to improve sperm quality, as well as zinc, which has seen reduced levels in men with fertility issues. CoQ10 functions as an antioxidant that blocks actions that can damage cells. New studies have found that supplements of CoQ10 can help improve sperm movement in infertile men. L-arginine supplementation increases ejaculate volume, boosts sperm count, and enhances motility. It is essential for the production of putrescine, spermidine and spermine. These polyamines (forms of amino acids) are important for initiating the spermatic motility processes. Spermine is particularly important. Not only does it support strong motility, it also helps to stabilize and preserve DNA. Another role of spermine is to assist with cell division, helping to increase ejaculate volume. As a dietary supplement, take 1 sachet daily. Do not take with fertility drugs. This product must not replace a varied balanced diet and a healthy lifestyle. Do not exceed the advisable daily intake. Keep the container in a cool and dry place, out of children’s reach & sight. Once opened keep it in the fridge. Not recommended in case of allergy to any of the ingredients. Do not purchase if seal is broken or damaged. If you are under medical treatment, consult your physician before taking supplements. Do not take with Clomid or fertility drugs. Begin taking immediately and continuously throughout your cycle. Discontinue use once pregnancy has been confirmed by urine or blood test.